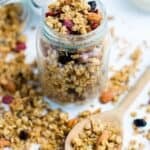 Easy homemade granola – breakfast couldn’t be any healthier with this nutritious granola made from scratch that’s sweetened with applesauce. This isn’t like the ordinary granola, it’s free from additives and sweetened with applesauce how awesome is that? I thought so…. I’ve been studying how to perfect how granola game for quite some time now. Since I am a self-confessed perfectionist, you won’t find me jumping into things head first. I have to do a few rounds of trial and error to tweak things to my liking. 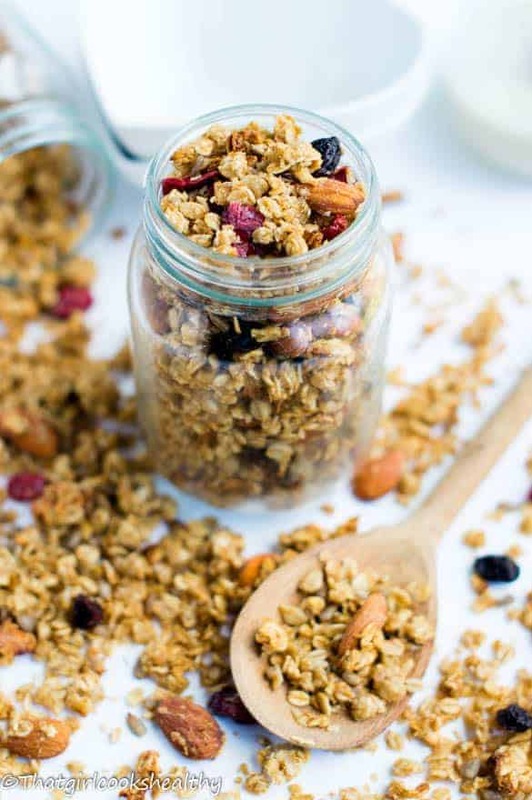 Granola wouldn’t be perfected without adding my signature style – the theme being healthy. 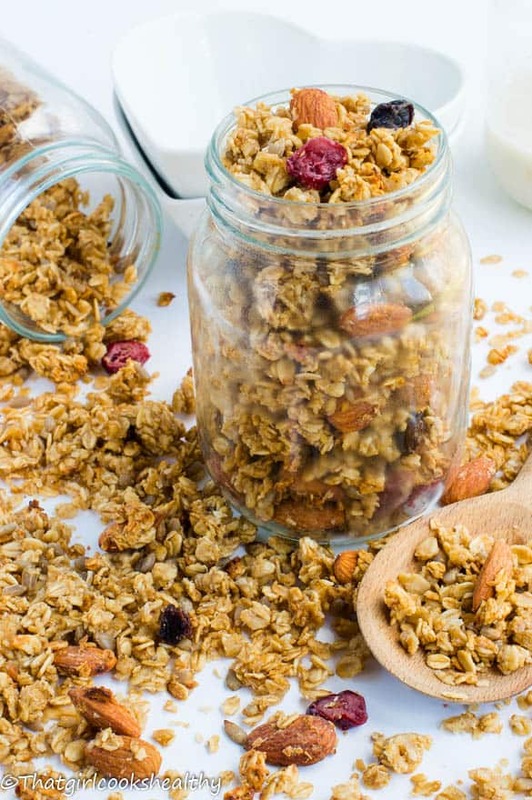 The commercialised granola tends to be saturated with refined sugars, honey, oils, and fats which compromise the nutritional content. I find this to be most disappointing to say the least, which led me to seek out an alternative that is healthy, lightly sweetened with crispy oats. 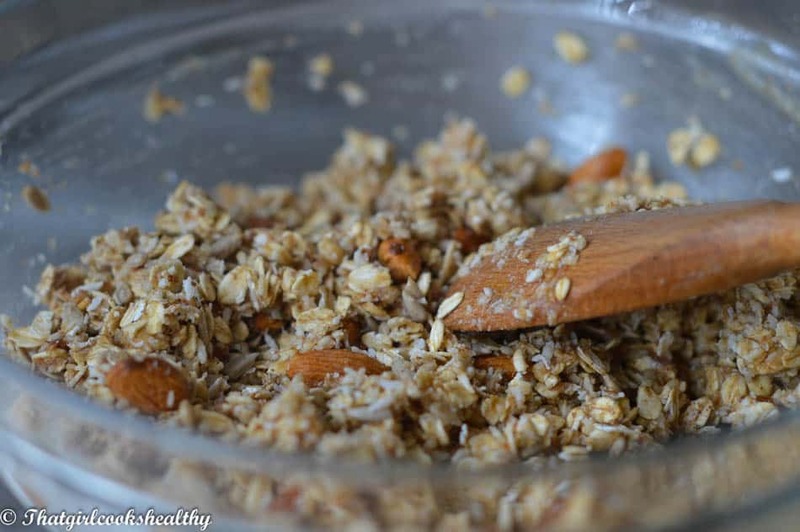 The best part about making granola is how creative you can become, once you lay down the base of the recipe (old fashioned oats). 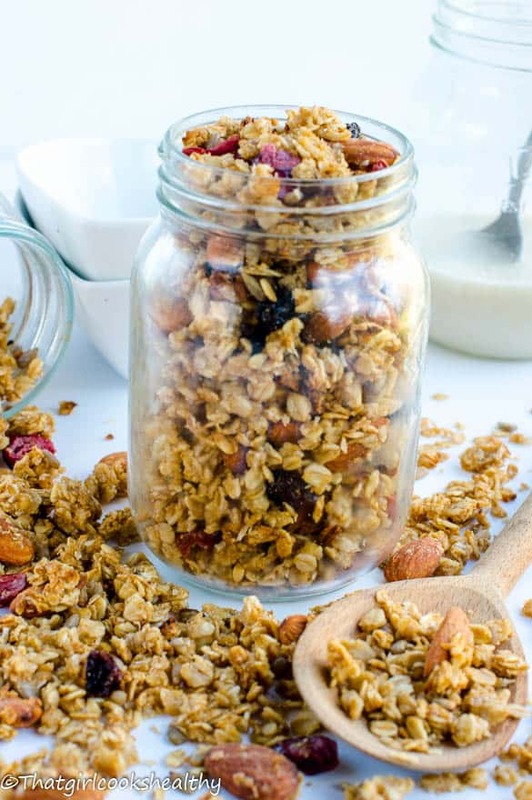 What additional ingredients can I add to this easy homemade granola? My recipe draws it’s sweetness from my homemade apple sauce. You won’t find the recipe overly sweet like the store brands, so don’t expect a complete replica, the keyword is HEALTHY. 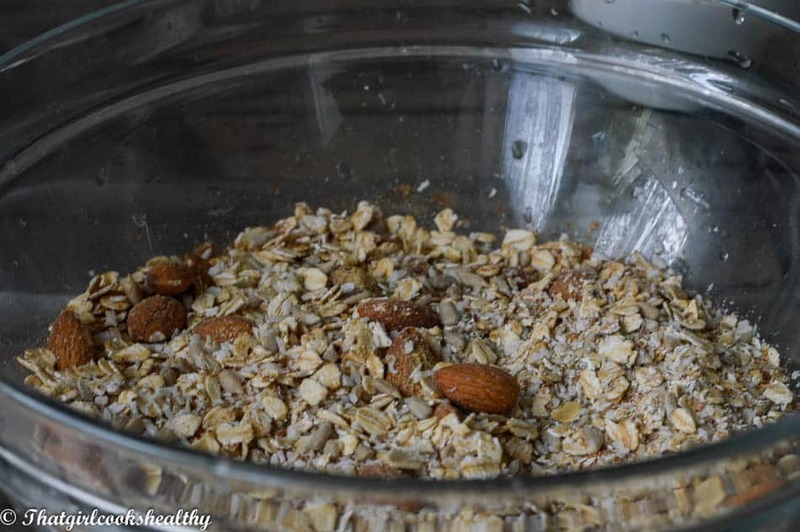 subtle with a low glycemic index with an abundance of nuts, dried fruit and old fashioned oats. Light weight and perfect to eat for breakfast or a snack – a popular food amongst westerners. Fold in the applesauce, coconut nectar and oil, mix until everything is saturated. Spread out on parchment paper and cook in the oven for 45 minutes, turning every 10 – 15 minutes. Once cooked remove from oven and set aside to cool. Add the dried fruit and store in airtight container – should last for a few weeks. 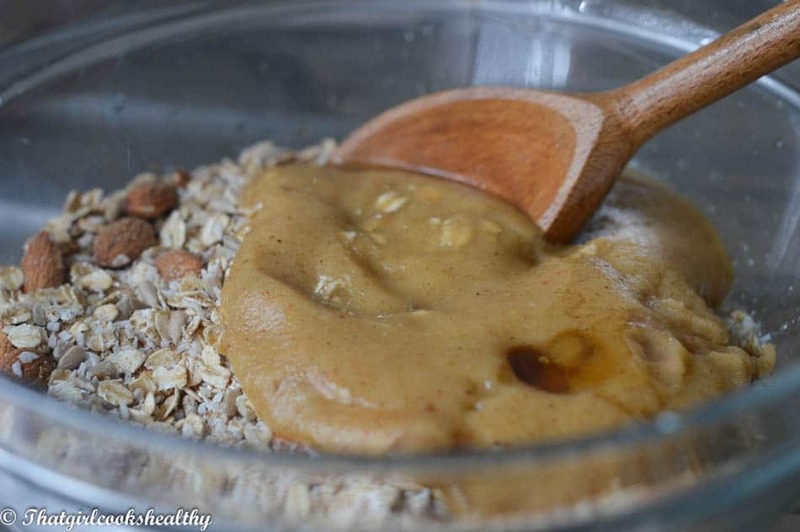 Charlene – this granola looks wonderful! Thanks for submitting to YG and please continue submitting and growing with us! Kelli and Holli at YG! Thanks Ladies, glad you like it.